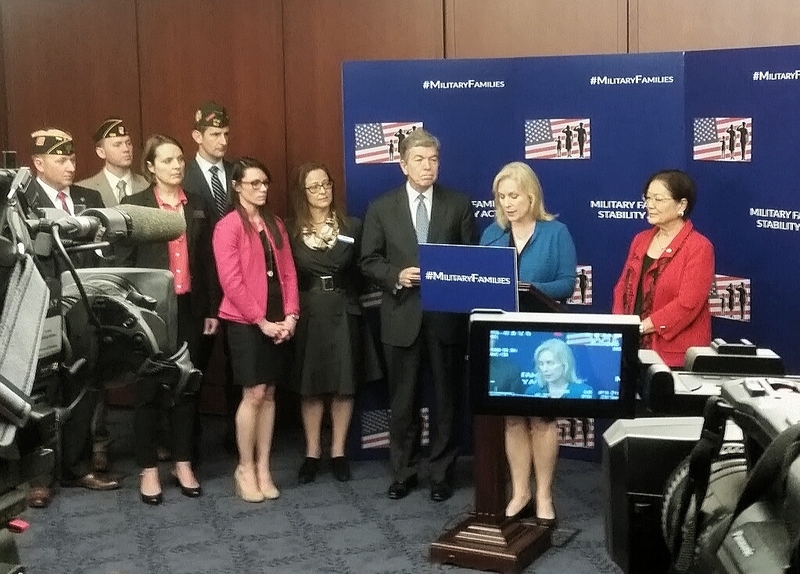 WASHINGTON (October 6, 2015) – Iraq and Afghanistan Veterans of America (IAVA), the nation’s first and largest nonprofit, nonpartisan organization representing veterans of Iraq and Afghanistan, announces its full support of the Military Family Stability Act (MFSA) sponsored by Sen. Roy Blunt (R-Mo.) and Sen. Kirsten Gillibrand (D-N.Y.). The MFSA provides necessary reforms to ensure military families obtain the stability they deserve amid frequent moves, enabling them to live normal lives. IAVA Legislative Associate Elizabeth Welke joined Sens. Blunt and Gillibrand for the bill’s introduction today at the Capitol Visitor Center. Requiring Department of Defense-wide enforcement, to ensure parity among services. The legislation recognizes that service members do not serve alone and attempts to give families flexibility to make their transitions less stressful.